10 Awesome Nerdy Kitchen Gifts (2019) | Nerd Much? You may think you have a pretty nerd-friendly abode–from Star Wars sheets in the bedroom to the Game of Thrones sword replicas in the living room and a blood-spattered zombie shower curtain in the bathroom. But what about the kitchen? At first glance, it might not seem seem like the easiest place in your home to to showcase your interests. Don’t give up, however, because your kitchen is brimming with potential. We’ve rounded up kitchenware and appliances from around the web that will help you whip up wonderfully nerdy treats, increase your happy hour game, and deck out your dining area in wonderfully geeky ways. This zombie engraved cutting board is sure to add a creepy touch to your cooking area. It’s good for cutting fruits, meat, or even heads…of lettuce, that is. This piece is practical and sleek and it’s sure to wow your guests, even if your cooking doesn’t. 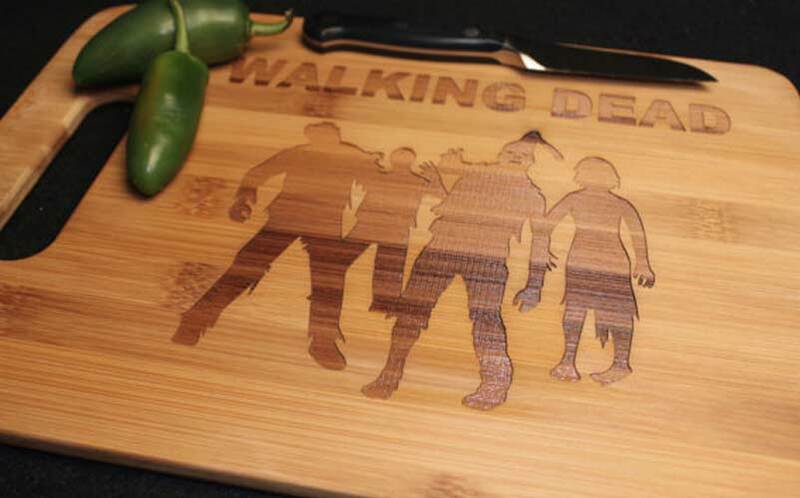 Purchase the Walking Dead Zombie Cutting Board here. Why limit your cosplaying to comic conventions? Power up your cooking game with this Super Mario-inspired apron. It’s functional, will no doubt making cooking far more fun, and will instantly transform you into the most awesomely geeky host of any dinner party. 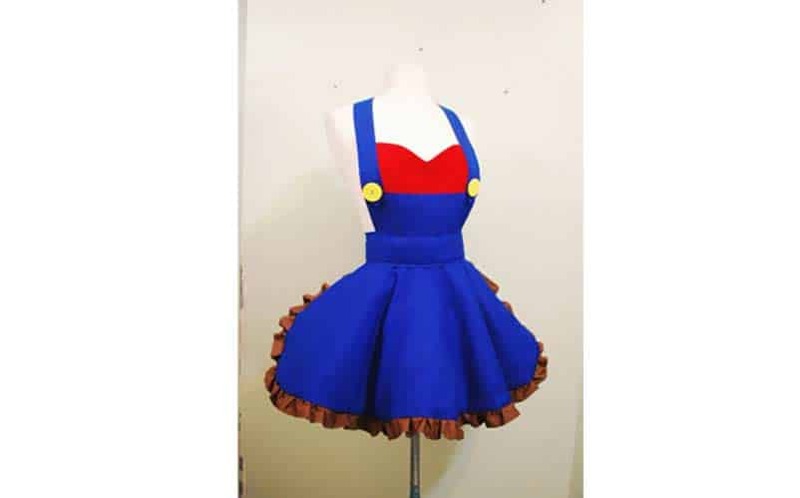 Buy the Super Mario Apron here. What’s better than a Tardis? Well, dozens of Tardises, of course. Celebrate your diehard Doctor Who fandom while also crafting a fancy looking cookie with this Tardis embossed rolling pin. Really, why even stop at cookies? Imagine all the possibilities: Tardis breads, Tardis pizzas, Tardis crackers…there are at least as many possibilities as there are Doctors. 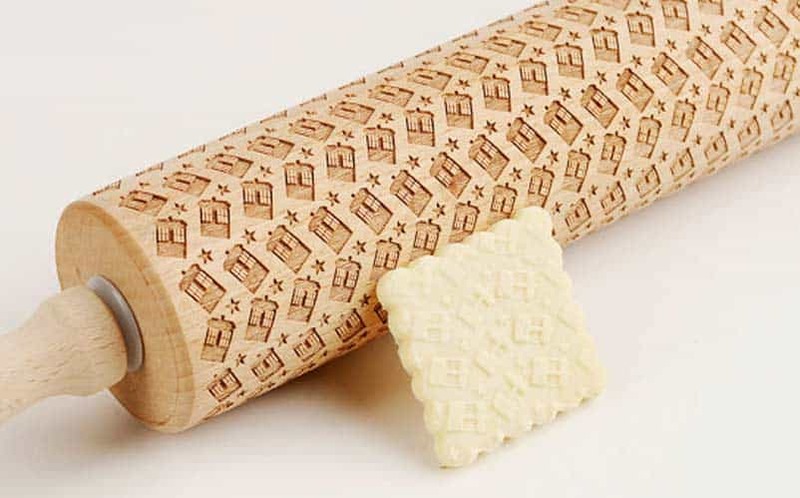 Buy the Doctor Who Rolling Pin here. Whether you’re a fan of the old series or the newer reboot, it goes without saying that Thundercats is a notable classic worth celebrating. These Thundercats coasters will bring class and and a touch of nostalgia to your dining area. Don’t be surprised if these result in impromptu screams of “Thundercats ho!” from dinner guests. 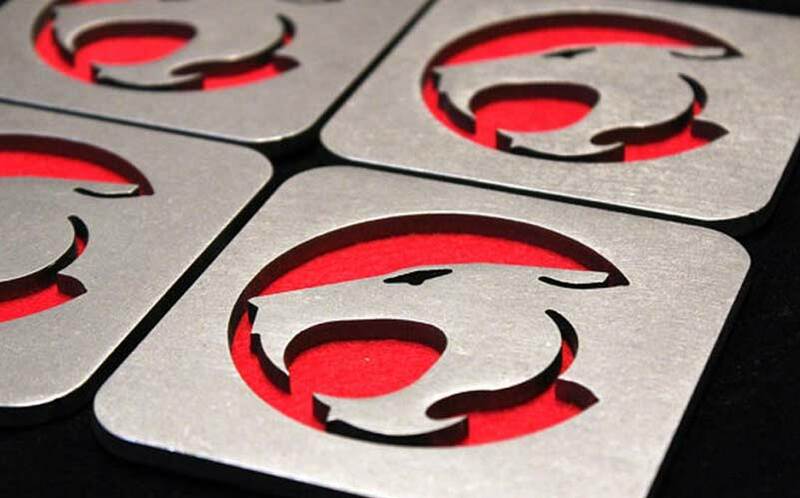 Purchase Thundercats Steel Coasters here. Star Trek and sushi sound like a pretty unlikely pairing at first, but they prove to be the perfect match in this U.S.S. Enterprise Sushi Set. 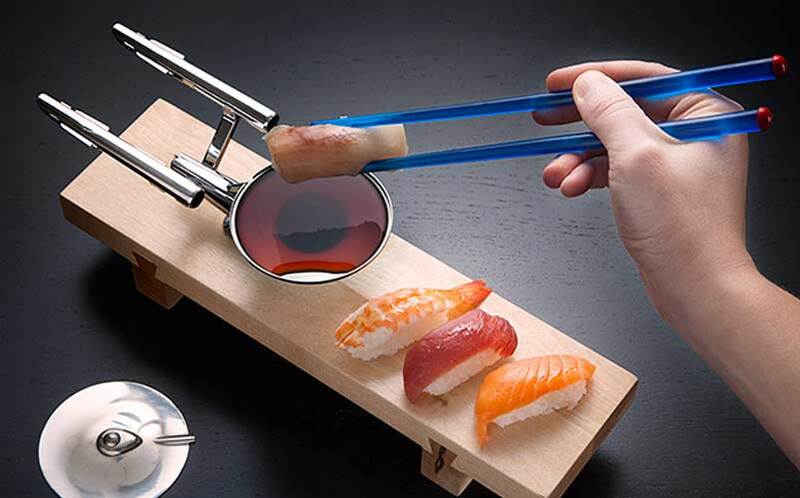 The warp trails transform into chopsticks and the vessel opens up to hold your soy sauce. Serve up an out of this world meal with this beautifully detailed serving set. Buy the Star Trek U.S.S. Enterprise Sushi Set here. It’s a toaster shaped like Darth Vader’s head — clearly this is where I’m supposed to make a joke about your bread switching over to the dark side. 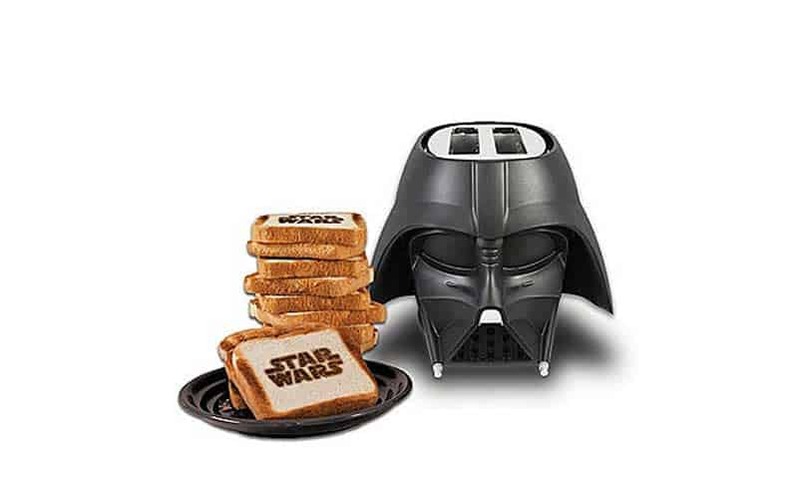 But I’ll move on from bad puns and point out that, not only is the toaster cool, but this product also makes some awesome toast that will help you pay homage to your beloved film with each bite. 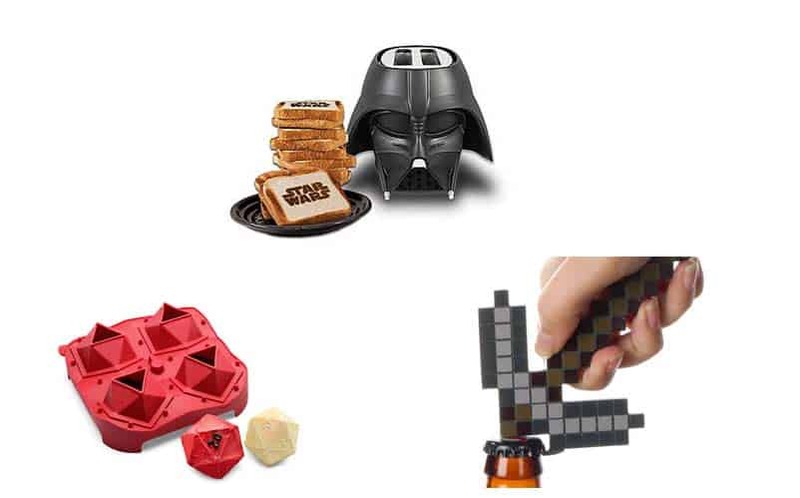 Buy the Star Wars Darth Vader Toaster here. Show off how worthy of a cook you are as you pick up one of your homemade cookies shaped like Thor’s sword, Mjolnir. This sturdy cookie cutter is actually made of biodegradable materials, so it makes a mighty cookie while also being kind to the environment. This simple addition to your baking arsenal is fun for kids and Marvel fans of any age. 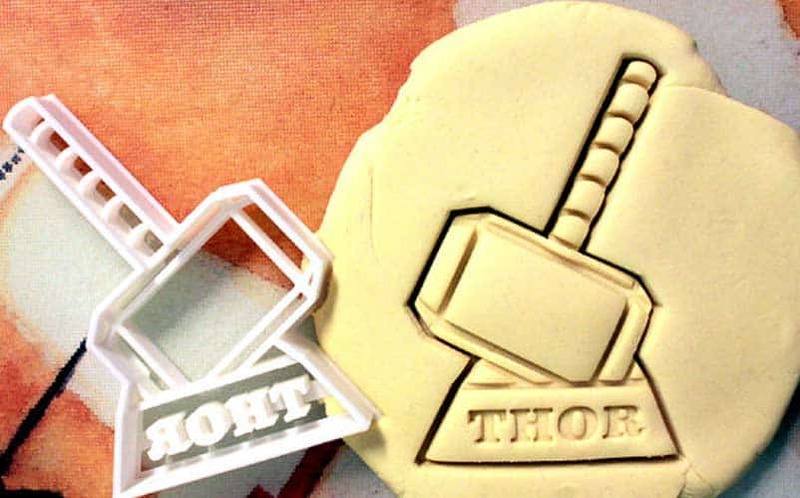 Buy the Thor Cookie Cutter here. Mine your way through a six pack of cold ones with this bottle opener that looks like it was taken straight out of the game. An entertaining and eye-catching addition to any gamer’s kitchen. It’s easy to use and an ode to one of the most popular PC games, Minecraft. 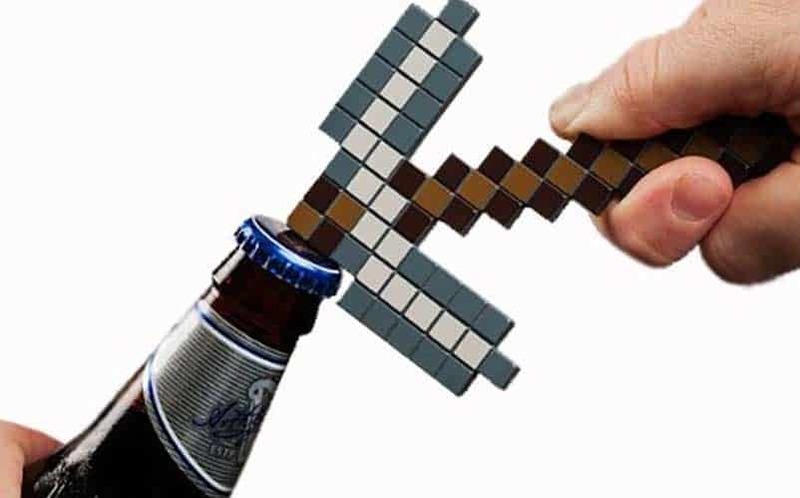 Buy the Minecraft Pick Axe Bottle Opener here. No all night tabletop gaming session is complete without some junk food. Keep your crew full and feeling like winners with sweets made from these D20 mini cakes. Granted, this cake pan doesn’t seem like the simplest appliance for beginning bakers, but the end result is sure to impress. 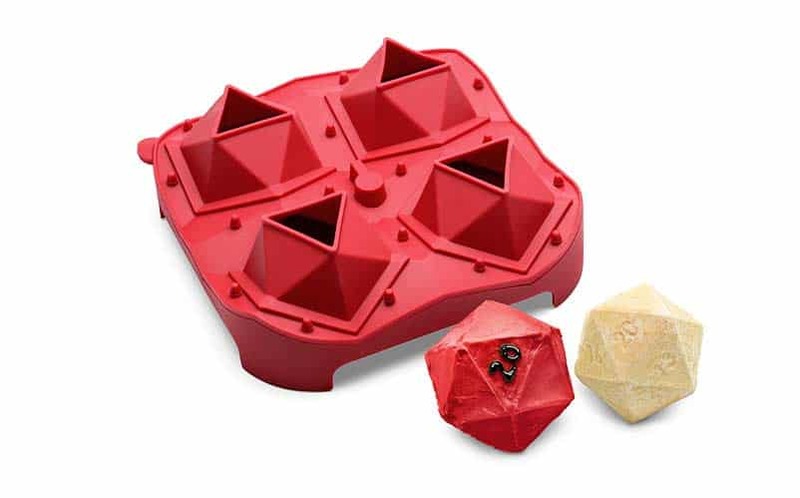 Buy the D20 Critical Hit Mini Cake Pan here. 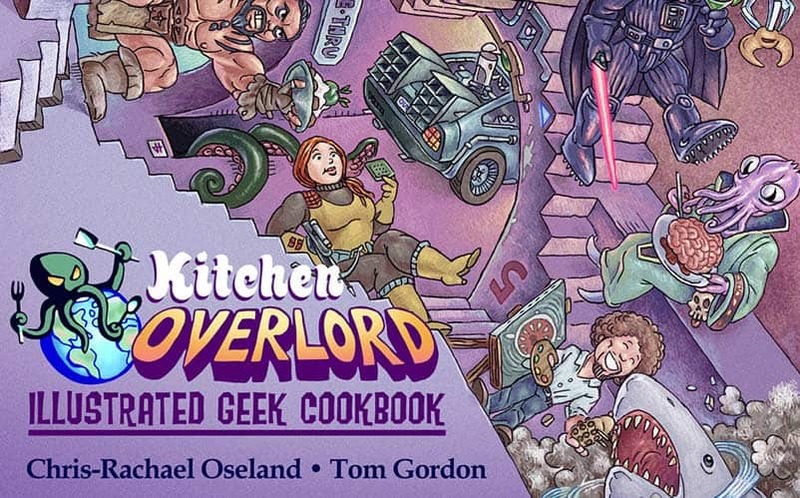 Kitchen Overlord’s Illustrated Geek Cookbook isn’t just a geeky recipe book; there are already plenty of those out there. What sets this one apart and makes it a must-have for any geek kitchen is how fun and easy-to-follow it is. Each recipe is very specifically themed as well as entertainingly illustrated. This book will not only help you make nerdy treats, it will actually make cooking fun. Buy the Kitchen Overlord Cookbook here.